accent knows reaching the right people in the right voice is critical for every organization, no matter the mission. 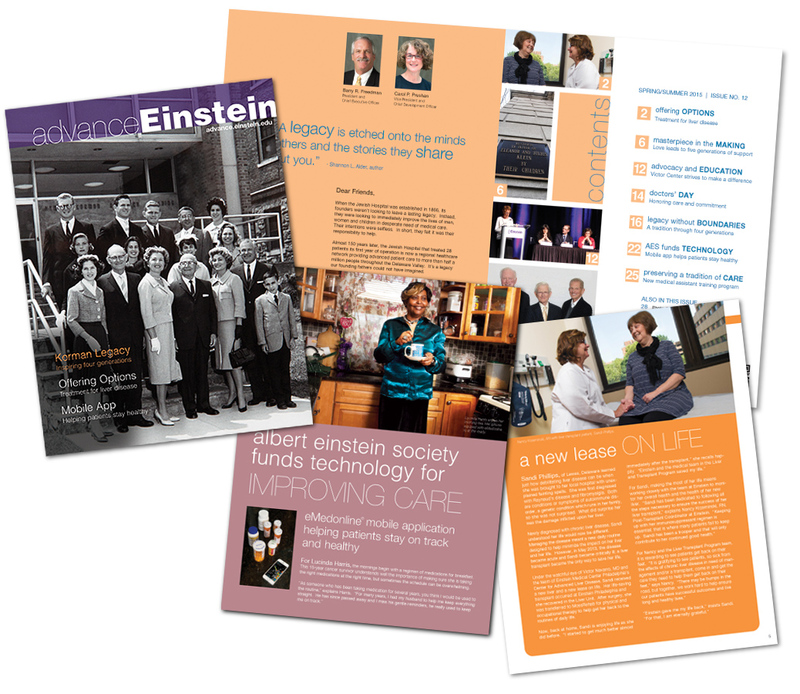 When Einstein Healthcare Network wanted to connect to its high-end donors in the most compelling way possible, they called accent to brand and launch what they considered their most important communication tool — advanceEinstein magazine. accent’s team meticulously researched, wrote, photographed and designed each and every issue since 2007. When the time came in 2014 to rebrand the magazine, accent incorporated white space throughout and introduced a modern color palette. That year, accent brought the publication into the digital age on a striking, redesigned website. It not only captured every donor’s eye, but also their hearts and minds. Going anywhere to get the perfect photo or video. Working tirelessly to make the image unique. Elevating each picture to the level of art. accent makes each clients’ passion project our passion too. 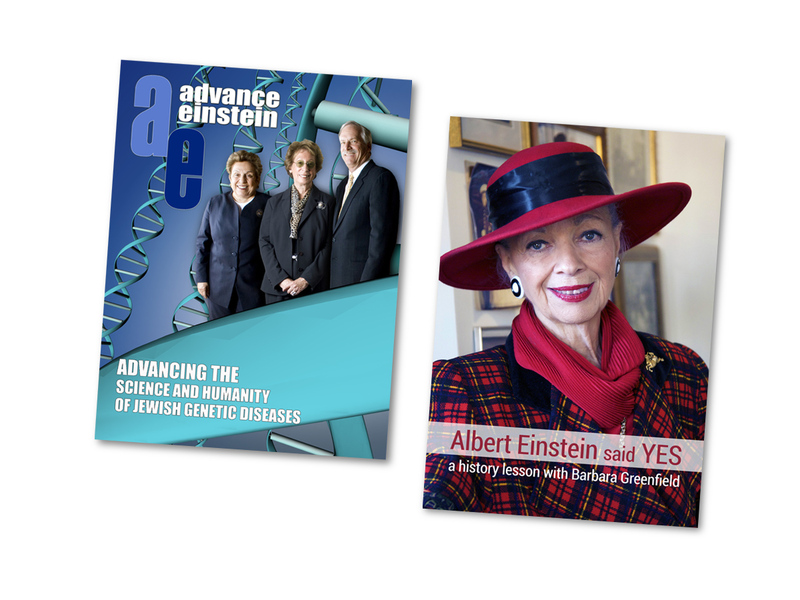 We have traveled to New York City to photograph former United States Secretary of Health and Human Services Dr. Donna Shalala — and then digitally placed her in a virtual DNA strand for an advanceEinstein cover. We have photographed and filmed elusive Philadelphia heiress Barbara Greenfield in her Rittenhouse Square penthouse for an Einstein history retrospective, where she told us how Albert Einstein allowed his name to be used for the Jewish hospital’s rebranding in 1951. We have captured more than 4,500 environmental photos since 2007 and meticulously chronicled Einstein’s archives dating back to 1864 in celebration of its 150th history retrospective. No matter when or where, accent’s award-winning art directors and photographers are there, “seeing” the right look at the right moment before it happens. When Einstein Healthcare Network launched its $150 million comprehensive campaign, they called accent to do the primary research that became the cornerstone of the strategic campaign identity. accent’s extensive polling and field research determined who Einstein was and what motivated its donors, as well as evaluated the competitive climate in the healthcare market. accent crystallized a cohesive, single-channel theme that linked Einstein to its donors, the donors to their motivations and, most importantly, Einstein to the community it serves. accent’s exhaustive research served as the building blocks for a finely tuned strategic strategy. From it, accent designed a distinctive voice for the overall campaign with its foundation rooted in a strong brand position of community-based messaging. “Healing Lives. 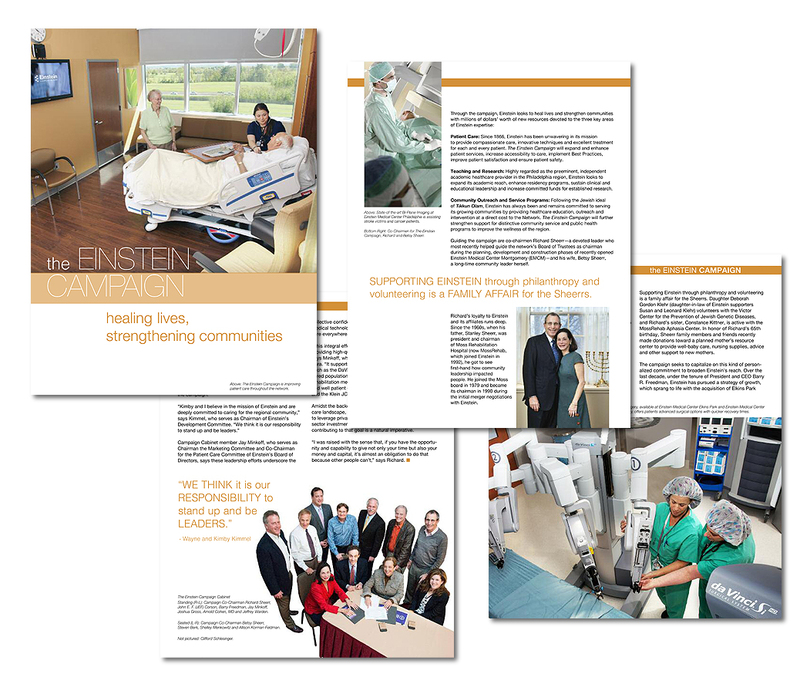 Strengthening Community” became a tag line and a mantra that resonated with every focus group and tapped into the intense feeling of connection that drives Einstein Healthcare Network’s donors. accent gave Einstein Healthcare Network the tools to know exactly where it was, where it could go and what it needed to do to get there.